Brenda Riddle of Acorn Quilt & Gift Company has just created this absolutely darling wallhanging celebrating those clothes we loved so much. 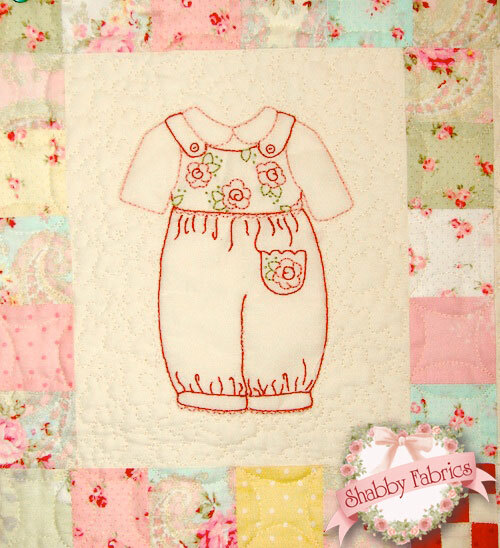 Betsy's Closet In Stitches features hand embroidery that is just too cute! Check out that eyelet lace collar! This romper has "gingham" fabric! 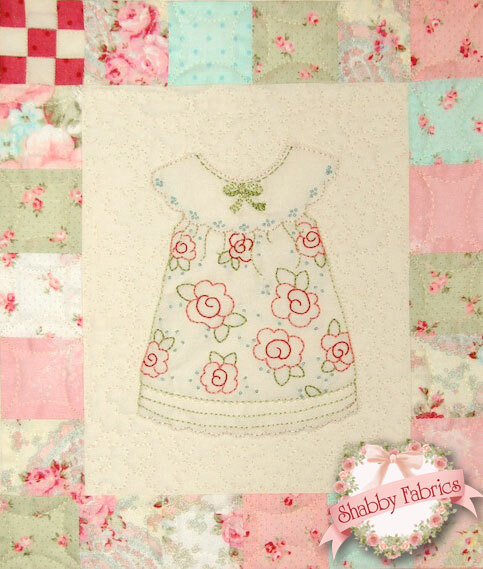 Pick up the Kit today - which includes the pattern, all top fabrics, borders, binding, BACKING (! ), and 11 skeins of embroidery floss. 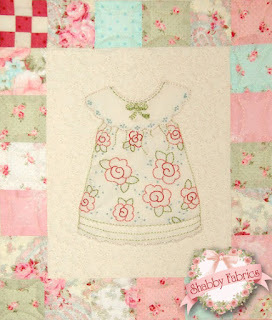 The pattern is also available separately. Do you love this as much as we do? 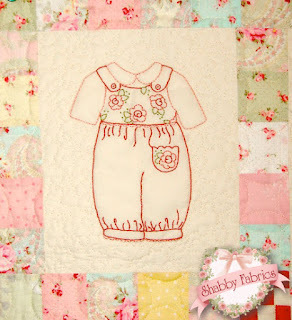 I just love this pattern, My niece just had a baby girl so I will have to think about it. Boy does that bring back memories. Good ones, of course. Thanks Jen, for the walk down memory lane!! 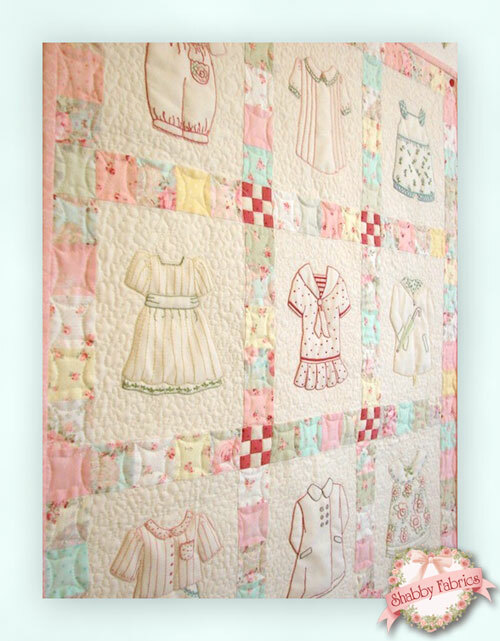 I just started 2 quilts this week, but this is so precious. This pattern is going on my list of must gets. It is adorable. 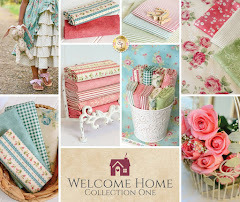 I absolutely love Lakehouse Fabric and Holly's designs. 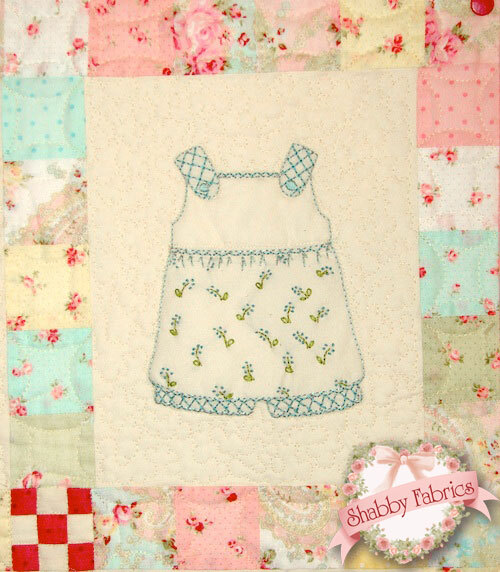 I have made several quilts using her fabric and patterns. I am getting the newsletter currently. 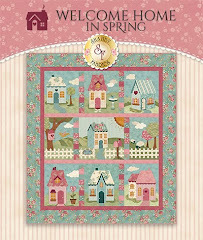 I think this are wonderful ofter and the patterns are wonderful plus I would get a chance to try the applique, which is used in the next quilt I will be making for my granddaughters graduation. 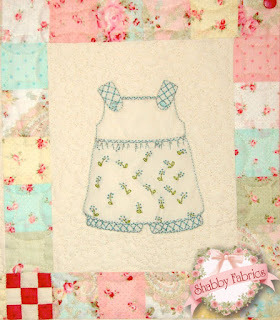 Both the patterns and the fabric are a work of art and very eligant. I keep collecting patterns. This one goes on must have list.